Live mode lets you control your slides while presenting, as well as allow others viewing the slides to move back and forth too. You can do this using your Phone as a clicker when presenting. From your Dashboard, click on the presentation and find the Live button. Go full screen afterward. 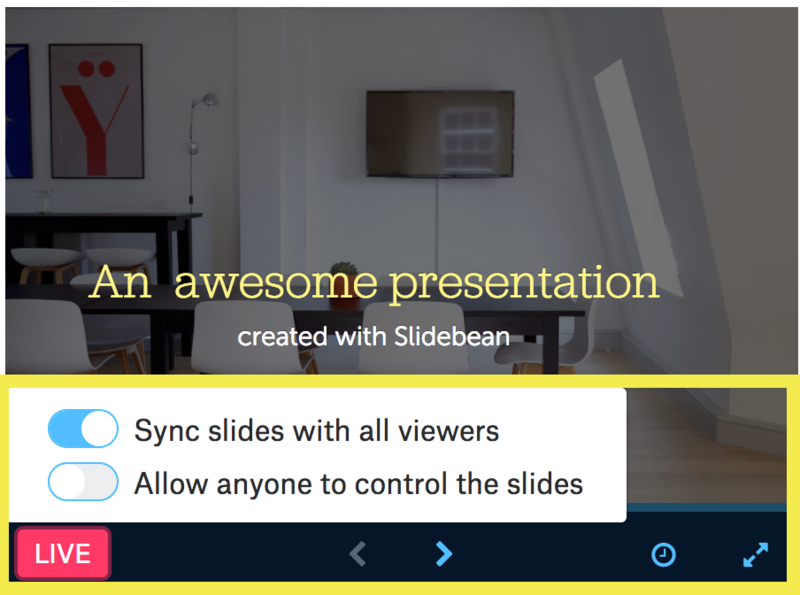 This comes in handy for remote presentations when not everyone is in the same room, choose "Allow others to control the slides" and each viewer can conduct different sections of the presentation.